When your organization undertakes projects or initiatives to improve performance, seize opportunities or address key issues, they often require changes; changes to processes, job roles, organizational structures and types and uses of technology. However, it is actually the employees of your organization who have to ultimately change how they do their jobs. If these individuals are unsuccessful in their personal transitions, if they don’t embrace and learn a new way of working, the initiative will fail. If employees embrace and adopt changes required by the initiative, it will deliver the expected results. Individual change management requires understanding how people experience change and what they need to change successfully. It also requires knowing what will help people make a successful transition: what messages do people need to hear when and from whom, when the optimal time to teach someone a new skill is, how to coach people to demonstrate new behaviors, and what makes changes “stick” in someone’s work. Individual change management draws on disciplines like psychology and neuroscience to apply actionable frameworks to individual change. After years of studying how individuals experience and are influenced in times of change, Prosci developed the ADKAR Model for individual change. Today, it is one of the most widely used change models in the world. While change happens at the individual level, it is often impossible for a project team to manage change on a person-by-person basis. Organizational or initiative change management provides us with the steps and actions to take at the project level to support the hundreds or thousands of individuals who are impacted by a project. Organizational change management involves first identifying the groups and people who will need to change as the result of the project, and in what ways they will need to change. 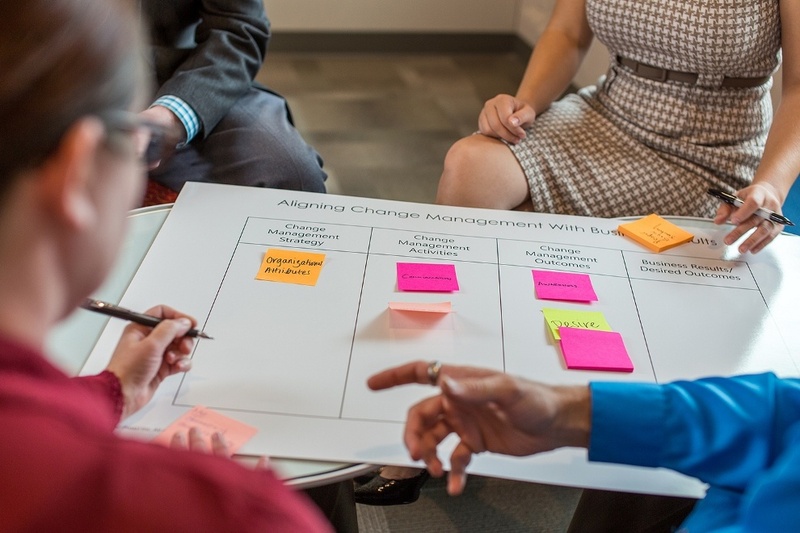 Organizational change management then involves creating a customized plan for ensuring impacted employees receive the awareness, leadership, coaching, and training they need in order to change successfully. Driving successful individual transitions should be the central focus of the activities in organizational change management. Learn more about the Prosci 3-Phase Process, which provides a research-based approach and full set of tools for applying change management at the initiative level. Enterprise change management is an organizational core competency that provides competitive differentiation and the ability to effectively adapt to the ever-changing world. An enterprise change management capability means effective change management is embedded into your organization’s roles, structures, processes, projects and leadership competencies. Change management processes are consistently and effectively applied to initiatives, leaders have the skills to guide their teams through change, and employees know what to ask for in order to be successful. Learn more about how to assess and grow your organization’s change management capability. 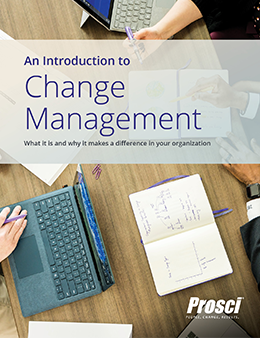 Now that you know what change management is, learn more about why change management is so important. The data is clear: even when organizational changes meet technical requirements and milestones, they can still fail to deliver results and benefits. What’s missing? Change management. Organizations that embrace change management are more likely to achieve project objectives, stay on or ahead of schedule, and stay on or under budget.